Government’s decision to cherry-pick for a full public inquiry, the August 1 political disturbances which killed six in Harare while failing to institute similar investigations into the massacre of 20 000 civilians by the military back in the 1980s. Chamisa was speaking before the Kgalema Motlanthe chaired Commission of Inquiry into the ill-fated skirmishes torched by delays in the announcement of the July 30 presidential election results by the Zimbabwe Electoral Commission (ZEC). He was joined by party deputy national chair Tendai Biti who also questioned government’s failure to open an inquiry into killings which were perpetrated by the army in Matebeleland and Midlands provinces between 1982 and 1987. Chamisa said while every loss of life was generally regrettable, it was worth the while for government to show sincerity in revisiting past wrongs by instituting an investigation in the Gukurahundi killings. Speaking earlier before the panel, Biti spoke at length about alleged military involvement into government affairs and how the armed forces have been quick to pull the trigger whenever Zanu-PF rule was under threat. “It is good that we are having this inquiry around what happened on the 1st of August 2018. “But I think something is wrong with our country that we have not had any commission of inquiry, a public commission of inquiry where 20 000 people lost their lives,” Biti said. Government’s continued failure to own up to its role in the killing of people from a predominantly Ndebele population in the country’s western regions remains an emotive issue up to date. 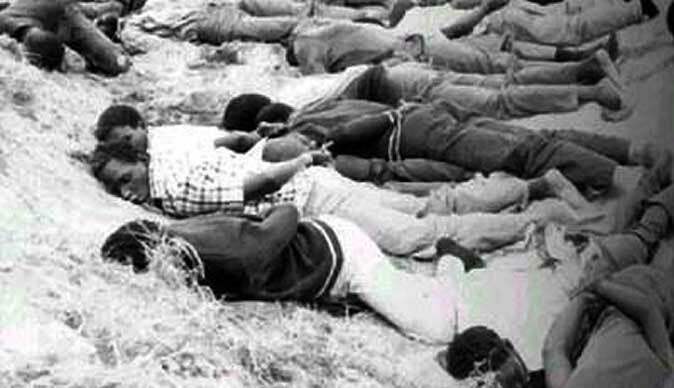 The Commission of Inquiry into the August 1 violence was forced to abandon its Bulawayo hearing midway last month when activists demanded a similar inquiry into the Gukurahundi atrocities. They said it did not make sense to them for President Mnangagwa to dispatch the panel to Bulawayo to investigate a Harare issue when Gukurahundi remains ignored. hmmn-In other words Trade value is …20,000 Ndebeles /6 Shonas like zimdollar and bond notes,..Im just saying!